Tool used for digging holes and manipulating various objects, such as soil, sand and compost. Tool with a flat or slightly concave blade, used mainly for turning over soil. 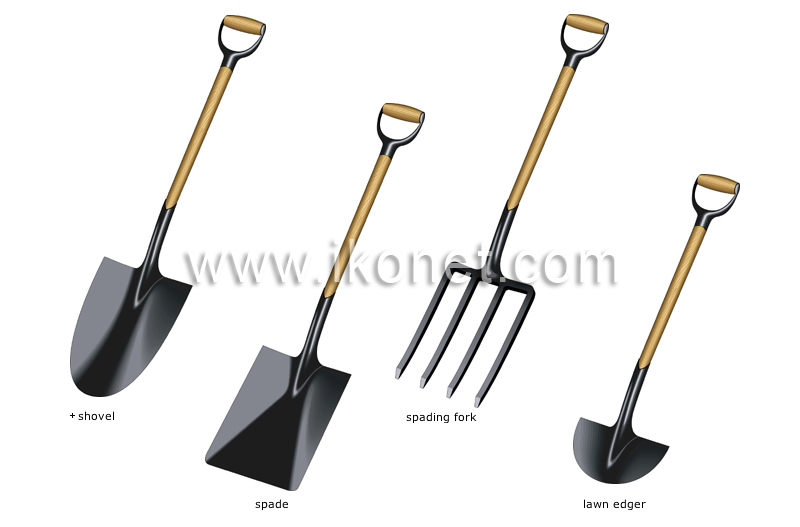 Tool with metal tines, which make it easier to loosen soil that is hard or contains many stones or roots. Tool with a semicircular blade for trimming the edge of the lawn, usually along a driveway, a patio or flower bed.